The two early stage researchers Ervina and Martina Galler have been piloting Edulia research protocols at a Norwegian primary school. 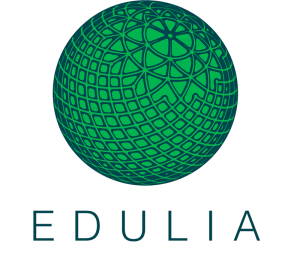 Last month members of the Edulia team visited 43 children from the 6th grade (children aged 11 to 12 y.o.) 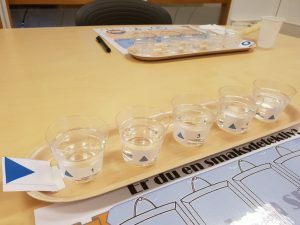 in a primary school in Ås, Norway. This day the ordinary teaching was replaced by different activities organised by the school children’s parents. A specific programme was set up for each grade which could include anything from sports, drawing, language and culture, arts or cooking to research. 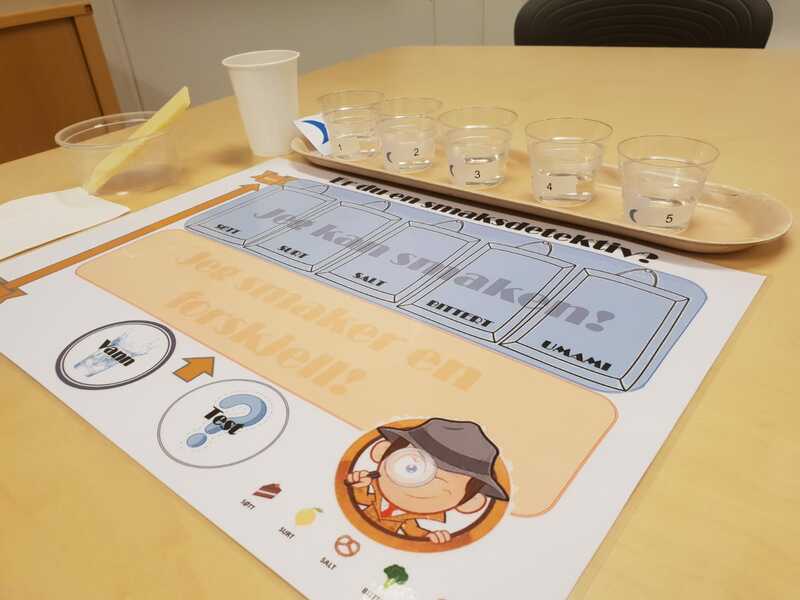 We were able to use this event for pilot testing our research about children’s perception of food in the Edulia project. The researchers started the visit by telling the children about the general purpose of food science, which is to make food production safe, sustainable and economical and at the same time being healthy and well tasting. Then they were asked if they would help in a research project, and they joined in with a lot of enthusiasm. More than 40 children conducted a projective mapping on food images. They sorted 30 different images of healthy food items and described their groups based on their liking, the eating occasion and the sensory properties. The projective mapping method is considered an intuitive and engaging method to display similarities and differences between products, and to generate descriptive vocabulary from the consumer’s perspective. The main purpose of this pilot was to see how well the projective mapping task worked with the 10-11 year olds. 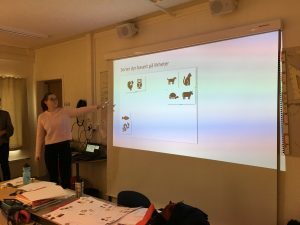 To explain the task, we showed an animated presentation where animals are sorted and described. 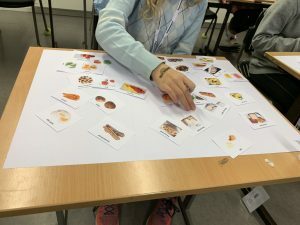 The children’s sensitivity towards the basic tastes was measured by means of a “Taste detective” board game where the children were asked to solve (i.e. identify) six taste mysteries. The children were successively presented with basic taste solutions of sweet, sour, salty, umami and two types of bitterness. For each taste the children received a series with five different levels of taste concentration, ranging from very weak to moderate. The children then used their taste sensitivity ability to detect and/or identify the taste stimuli presented in each series, placing the water cups on the right fields on the board game. They then reported their data on tablets in a child-friendly “taste detective” user interface. 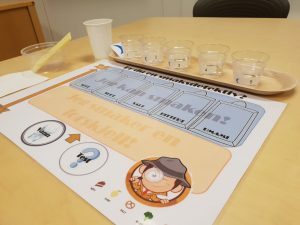 – Thanks to the pilot testing we were able to observe that the taste detective game was engaging and easily conducted in autonomy by the children. 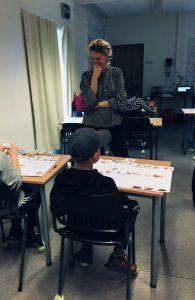 Yet it was revealed that the digital version of the detective game was sufficient – the testing procedure was as successful and much faster when we dropped the board game in one of the testing groups, tells Ervina. 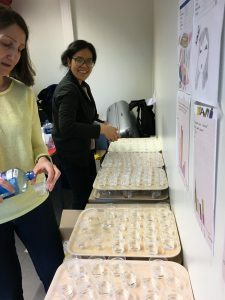 A tricky part of the test is to optimise the taste concentrations and organisation of preparing, serving and tidying up several hundreds of cups in a short time frame. After the pilot, I feel a lot more prepared and equipped for my main study, planned in the Autumn of 2020, says Ervina. Fattiness sensitivity was measured using a paired comparison approach with milk samples that differed in fat content. The children were served two successive pairs of milk samples and were asked to indicate the fattiest one on their tablet. This was a preliminary step to investigate whether this method is suitable for preadolescent children. 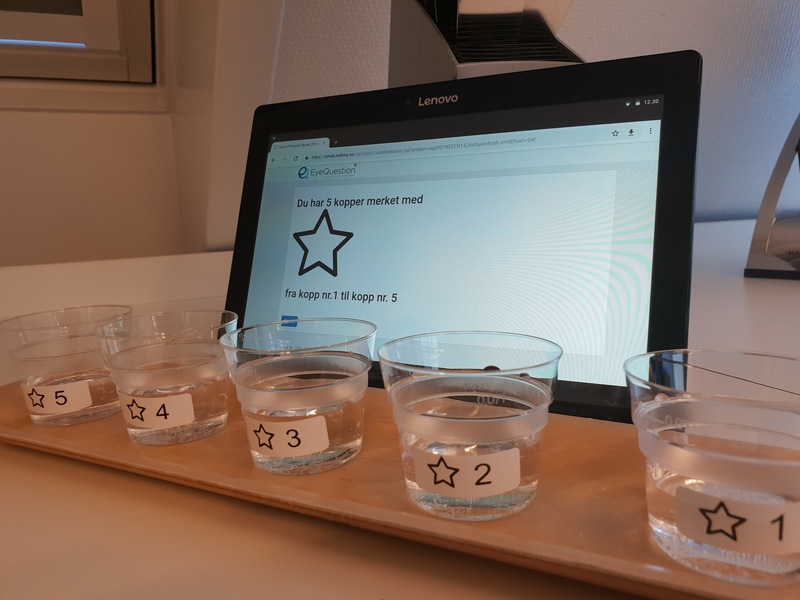 The pilot test showed that the children performed well, however replication of the paired comparisons will be needed for ensuring reliability of the measure for the real data collection in the main experiment. 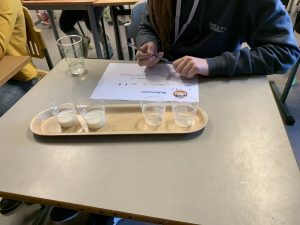 Two pairs of milk were tested at a time. 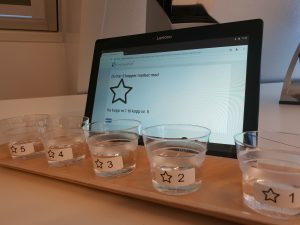 – The children found the tests to be engaging and fun! However, we could observe many grimaces as several of them clearly disapproved of the stronger bitter and umami solutions. 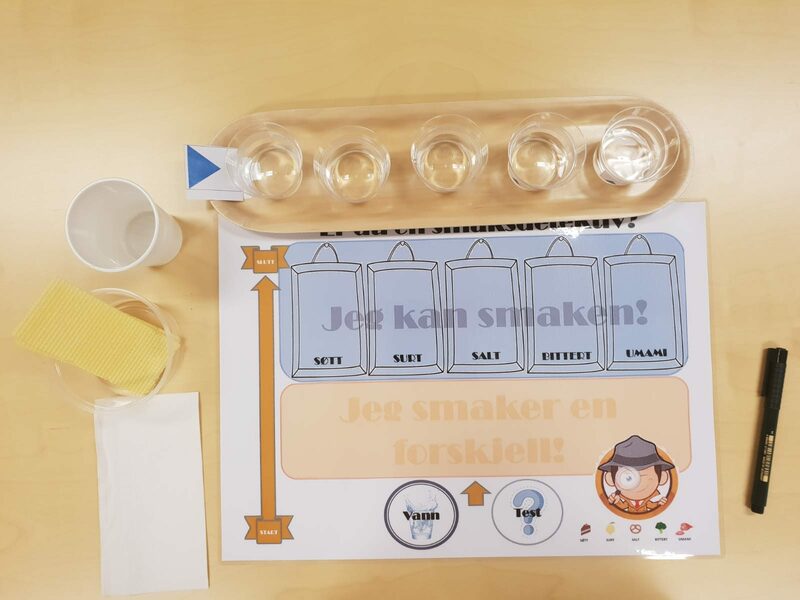 All were happy to leave with a “Taste Detective” diploma at the end of this special school day, concludes Valerie Almlie a senior researcher at Nofima, supervisor for Ervina and leader the Edulia work package on taste sensitivity.